More than just gun oil, LPX is the next generation of Lubricant and Protectant for advanced military and law enforcement style handheld and crew-served weaponry used in extreme environment operations. 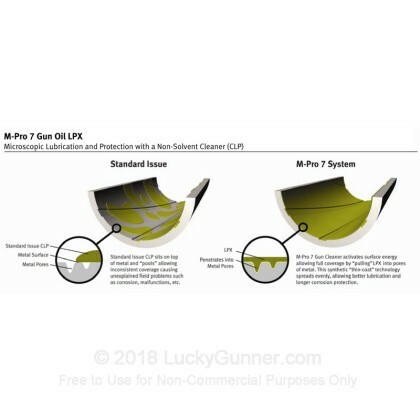 Replaces all gun oils, CLP's and dry lubes with the benefits of each and none of the issues (evaporation, separation, gumming, odor, etc.). The highest possible protection against wear, humidity, and moisture, including salt water; leaves a long-lasting film that repels dust/dirt and will not evaporate – excellent for long-term storage. 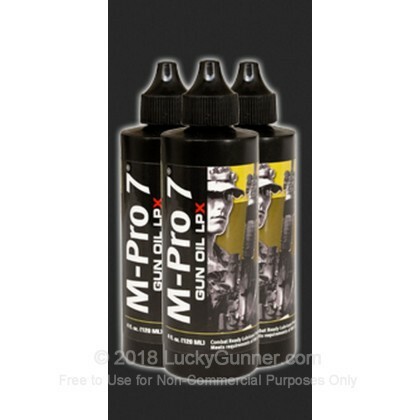 M-Pro7 Gun Oil LPX contains a cleaning agent that repels dust/dirt and can be used as a “cleaner” to remove surface carbon in the field. 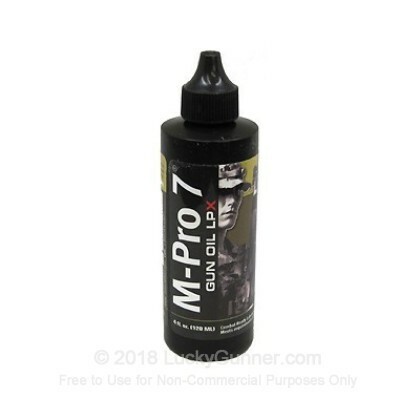 M-Pro7 Gun Cleaner should be used for periodic deep cleaning and removal of embedded fouling (Garrison Level Cleaning).